CELEBRATING 40 YEARS OF AUSTIN ORIGINALS! Fable Records is one of the oldest independent record labels in Texas now in their 43rd year, exclusively represents Austin music and Austin musicians. Fable is a family of musicians with a story that chronicles the spirit of Austin music back to when its synergy was just beginning to cast it's spell over the world. In 1973 and into 1979 Mike Mordecai and small team of enthusiastic young music innovators put out a series of vinyl 45s - local Austin groups like Zeus, Rick Sheffield and Zilker Sunday – Mike’s rock/jazz fusion band with Saxman, John Mills. In 1975 they made a bold move to put out three albums in a month with three popular local bands Steam Heat, 47 Times Its on Weight and Starcrost – Mills and Mordecai’s new project. Fable Records manufactured 1000 copies of each. It was at this point Mike decided to make it official. This Trilogy, hailed by Billboard Magazine as the turning point for contemporary jazz in Austin, put Fable Records and Austin’s Jazz/rock/funk scene on the national radar. Today the trilogy continues to be a coveted find by vinyl collectors across the globe. Fable Records continues to offer at the table, authentically Austin bred Jazz, Rock and Funk. MBeto y los Fairlanes are a latin-jazz fusion ensemble from Austin, Texas. The group was founded in the 1970’s by Robert “Beto” Skiles (piano) a native of San Antonio. The octet also includes John Fremgen (bass), Stephen Summer (drums), Laura Mordecai (percussion), Rich Haering (trumpet), Jake Lampe (alto sax), John Mills (tenor sax), and Michael Mordecai (trombone). The group was inducted in the Austin Chronicle’s Music Hall of Fame earlier this year. They were also inducted into the South Texas Music Walk of Fame. Austin’s very own Funk and Soul veterans, Extreme Heat are an 8-piece group of musicians who have sprouted from every corner of Texas with a single Coloradan added to the mix. This funk group is led by, Bruce Spelman (vocals), followed by, Mike Roeder (bass, vocal), Neil Pederson (keyboard), Mike Barnes (guitar), Eddie Cantu (drums), Steven Vague (sax), Ken Mills (trombone), James Fenner (percussion). Formed in 1977 from the critically acclaimed band Steam Heat, Extreme Heat cut its musical teeth playing legendary Austin venues including the Armadillo, Liberty Lunch, Steamboat, Antones and the Saxon Pub. They recently released their latest studio album, All the Way Gone. The title, All the Way Gone is a reminder to Extreme Heat on how much the city has changed since the 1970’s. Regardless of the massive changes in Austin, Extreme Heat wants their audience to remember that, “life is good,” when they are enjoying the music. 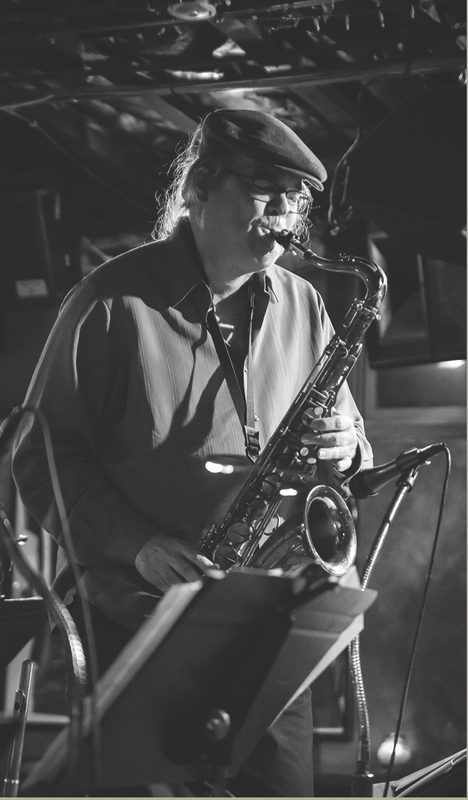 John Mills Times Ten is an Austin original 10-piece jazz ensemble showcasing the compositions & arrangements of tenor saxophonist, John Mills. Their Sophomore album, Flying Blind, is currently available at Waterloo Records and everywhere on-line. Their residency at the famed Elephant Room, first Wednesday of every month, is now in its 8th year. Flying Blind, Times Ten’s sophomore release, suggests venturing into risky territory, equipped only with one’s sense of adventure. It was recorded at Bee Creek Studios in Spicewood, TX. It was co-produced and engineered by studio owner and Mills’ long-time (40 years) musical production partner, Spencer Starnes. “Spencer got beautiful instrument sounds and was a superb musician who understood every detail of the music I imagined,” Mills recalls. Spencer passed away shortly after Flying Blind was completed, and the album is dedicated to him. Michael Mordecai, trombone player and music business entrepreneur is celebrating 50 years as a musician in Austin, Texas. He is one of many who came to the city to attend college and never left. He was born and raised in Denton, TX where he played with the North Texas Lab Band while still in high school and fell in love with jazz and the art of trombone. Michael owns BBA/Management and Booking (since 1973) and independent record label, Fable Records (since 1975). BBA now books over 10,000 gigs per year with downbeats in every time zone, every day of the year. Fable Records is one of the oldest independent labels in Texas proudly and exclusively presenting Austin music and Austin musicians.